I love this title, which is from Chris Collison’ssession at the Henley KM Forum conference. It reminds me of an anecdote I heard a little while back about a very well known organisation that I won’t name and shame. They were frustrated because they had all the KM good practices under the sun, but still organisational learning wasn’t really happening as well as they hoped. It was while listening to a presentation about knowledge work that the light bulb came on. For all the effort they invested in collecting lessons learned, for all the fact that collection and dissemination was so deeply embedded into organisational routines, did they ever go back and look at what had changed as a result, did they ever deliberately drive through the consequences of these lessons into changes that improved results, or was it just a matter of serendipity that the lessons learned translated into lessons earned? Lessons learned from someone else don’t have the same impact as lessons earned for yourself. I suppose it’s the reality of the human condition. Learn or teach? Who cares about your lessons? Someone telling us from their experience what to avoid, has less impact that learning from our own experience. We always say that in leadership development, 70% of the learning comes from experience, not from education and training. Yet even experience doesn’t always make the lesson stick. For example, if I shine this light back on myself as a parent, the experience of being hugely irritated and probably rudely irreverent in the face of my parent’s advice didn’t teach me enough of a lesson. l know I knew much better. After all they didn’t understand the modern world. Yet nowadays, I still find myself assuming my experience would be a helpful guide for son, who is 27 now and has had plenty of experience of his own! I haven’t learned and nor has he. So why bother? I suppose if we care we want to share and prevent someone having to relive our own painful experiences. The most enduring lessons are often earned through personal failure. But, collectively, as Tim Harford tells it in his book Adapt Why success always starts with failure, however much we pool our lessons earned and assemble many different experts for advice, when it comes down to it, the world we inhabit is too complex and constantly changing for us to be able to analyse it and find simple and accurate solutions to the problems we face. So what can we do? Do we simply have to recognise that change emerges as a result of the collective set of adaptations over which we have no control, so our job in the organisation is simply to ensure that failure is survivable? Well yes apparently, that’s what co-evolution is all about. We find our niche, thrive for a while, things change as a result of our collective contribution to conditions and either we adapt or become redundant. 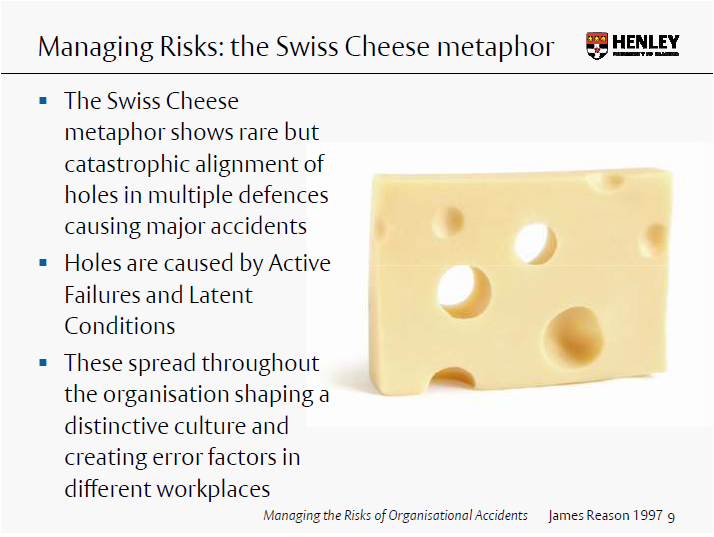 But in organisation life that would make the KM task simply one of risk management. Tim has other useful principles too, and I won’t steal his thunder here, because you need to read the book or come to the conference to hear what he has to say. 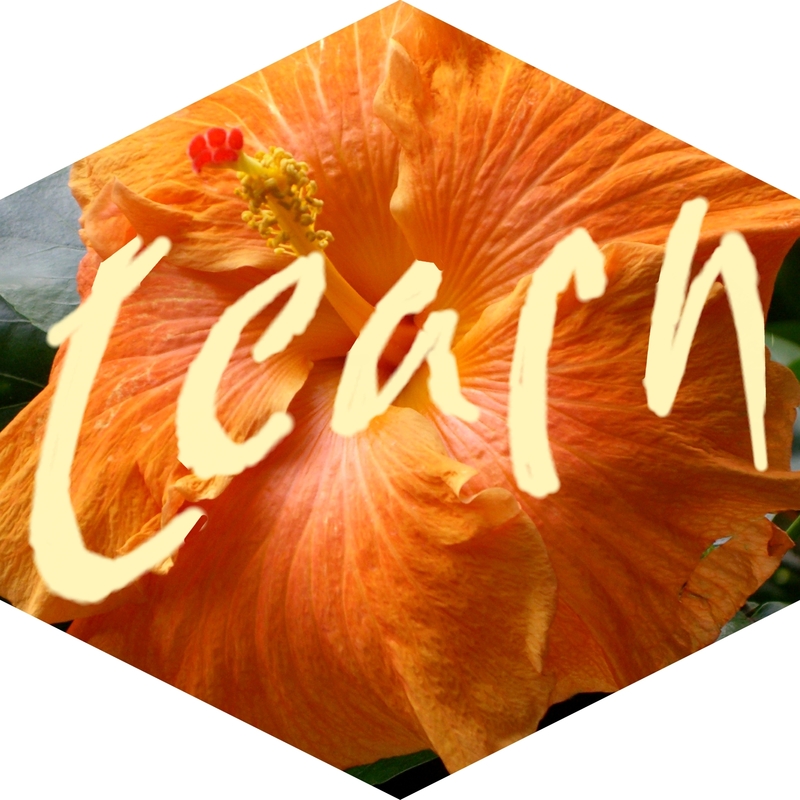 What I can say though is I learned a lesson from thinking about earning learning. For me and I imagine for many with years of experience, the fact that they know something well, doesn’t mean it translates into behaviour. I guess the impact of the failure must be stronger than the caring about what you know in order for if it to act as a stimulus to personal change. On a larger scale, history may identify some useful patterns, but its easy to be blind to the lessons they offer if they feel quite distant from your own reality. Meaningless twittering or meaningful conversations? To what end do we use freedom of speech? Astounding ! The top news story of today was the Twitter furor about which footballer took out a super injunction to block news of his affair. The topic of conversation at my tennis club on Saturday was the same. Whilst there are clearly profound issues of personal privacy and international law that need to be resolved, I find it worrying that surrounded by the serious and intractable world problems of recent times, so many people are fixated on something that really matters mainly to the families involved. Perhaps it’s easier to be distracted by lives of the rich and famous than to think about the far more challenging problems of economic crisis and human suffering. Of course, I know that Twitter has also helped people to come together for more important conversations. The demands for democracy in countries like Egypt, Libya, Tunisia, Syria arose because suddenly oppressed people have a broad band freedom to speak collectively about something that matters to them. I started to ask myself what is it that attracts people to these radically different topics? What gives these themes momentum? I wonder if it comes down to what seems meaningful at the time? Twitter gives people a voice and freedom to speak. That conversation becomes meaningful to vast swathes of people. Should we value freedom to simply to have a say, or should we using that democratic freedom for something more constructive? Is freedom from restraint without responsibility for the consequences good for us collectively? Ill informed, or unreflective use of freedom can be a dangerous thing. We live in an age where knowledge is multiplying faster than we can keep up with it. Universities are doing an excellent job of developing scientific knowledge in the fields of physics, chemistry, engineering, medicine. All that knowledge makes so many more things possible. So we gain more and more degrees of freedom. But we also live in an age where the disruption of many traditional values have left many individuals feeling isolated , insecure, confused and dare I say empty if their inclinations are to focus energy on the trials and tribulations of the rich and famous, rather than more meaningful activities. Attitudes – the freedom to take a stand against some fateful or momentous issues. Plato suggested that the purpose of education was to ensure that rulers were the well informed sensitive to the needs of the day and responsive to conscience. Effective democracy relies on everyone who is going to given a say meeting the same standards of care. It seems to me that our educational system which is good at delivering facts and technical knowledge and analysis also has a responsibility to develop people who care about the way they use their freedom for something worthwhile and more meaningful than twittering about other people’s private lives. Part of a whole or a hole in the parts of a system? Just recently, I’ve had quite a lot of experience caring for elderly parents. It’s caused me to reflect a lot on the challenge of joined up approaches to problem solving in organisations. Imagine the scenario. From the family’s perspective, a sick relative is a whole person. They don’t turn into a bag of disconnected bits, just because one part isn’t functioning well. When you care for a whole person, it’s natural to consider how basic needs like eating, drinking, personal safety interact with their medical conditions. Yet, the structure of the support systems actively discourages that sort of joined up thinking. The divisions in the system lead to fragmented judgements that put the patient at risk. Each specialism focuses on a different aspect of the patient needs. Doctors and nurses respond to immediate medical problems, social workers support social care needs, occupational therapists provide mobility aids and equipment for easier living, assisted technology experts provide alarms and fancy gadgetry. Then there are the physiotherapists, podiatrists, pharmacists, and paramedics, moving and handling specialists, mobile oxygen suppliers, meals on wheels and individual carers who are under pressure to care for a whole range of complex conditions that beset the elderly, with only limited knowledge. Lots of care available, but all of them have different aims and objectives, different targets to meet, and different policies to comply with. Most of them seem to have only a superficial connection with one other, and little agreement about what is possible. If you compound that problem by allowing your relative to fall ill away from their home community, then you are in deep trouble! No-one knows who to speak to and procedures prohibit the delivery of service in other locations. So joining up the various procedures and rules between different councils and spending areas becomes nigh on impossible. For example, the rules say care can’t be provided until the nurses and social services have assessed the needs in the patient’s home, but the patient is unsafe to go home until care is in place! Of course, each of them has the interests of the patient at heart. Yet they system as a whole has more holes that a piece of Swiss cheese! What has this to do with knowledge work you might ask. Everything, I would argue. Similar scenarios arise in a business context too. If I replace the word patient with client or customer, the words health with well-being or satisfaction, and health services with value chain, we have the same complex problems involving hand over from one area of expertise to another. It’s not much of a stretch to think of the customer as a whole person and the international business as the organisation dedicated to their well being. The same problems of joining up interests and intent relative to incentives and procedures apply to commercial activity as well as public sector service. Knowledge work is simply people, processes and technology working together to deliver end results. Processes and technology only work well if people apply them appropriately and in concert with one another to solve the real problem, rather than satisfy the narrow targets or singular objectives in their own little niche. The key is in the judgement of the individuals and how effectively people work together and communicate across a complex system that has to adapt to changes in context. Holes exist due to poor communication. More holes arise because contradictory targets and conflicting policies constrain flexibility and responsiveness. Further holes occur where processes are incompatible. Human error is unavoidable however tightly one specifies procedures. Perhaps tighter specifications even encourage mistakes, because they detract from the fact that people may care about a meaningful outcome Any of these problems happening in isolation may not be life threatening, but as Professor James Reason argues, when the holes are aligned the consequences for the patient or the customer can be significant, even life threatening. Risk is compounded and catastrophes happen. This is the basis of his analysis of Professor Reason’s many major catastrophes like the Columbia Space disaster, Chernobyl and other major disasters. Recent bank failures may also be in the same league. The biggest problem seems to be the lack of incentive to focus on the big picture outcome that matters. Professor Reason’s recent book places more emphasis on the Human Contribution, the behaviour of heroes who are able to adapt to context because they are mindful of the consequences of their actions not only for their singular targets and objectives, but also for the more interconnected results of collective action. Processes and procedures can be useful guides, technology can solve many problems but ultimately it is human care and judgement that makes use of knowledge in a way that is truly beneficial for the end user. 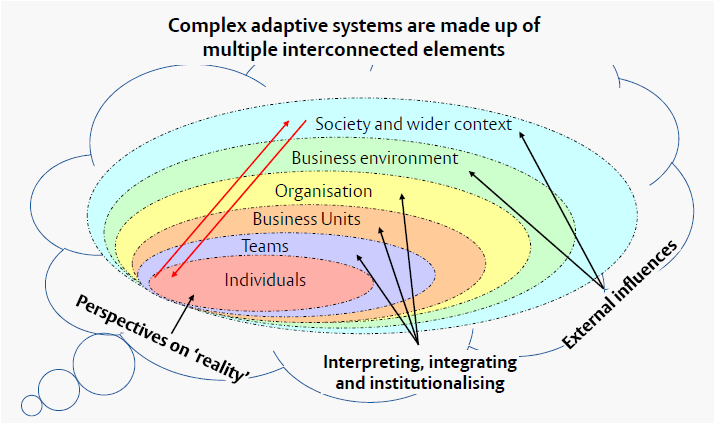 Surely that sense of being connected to the larger implications of one’s actions and the care for the consequences is what we have to get back into organisational life for knowledge to really work effectively and for organisations in their role as knowledge integrators, to create real value?